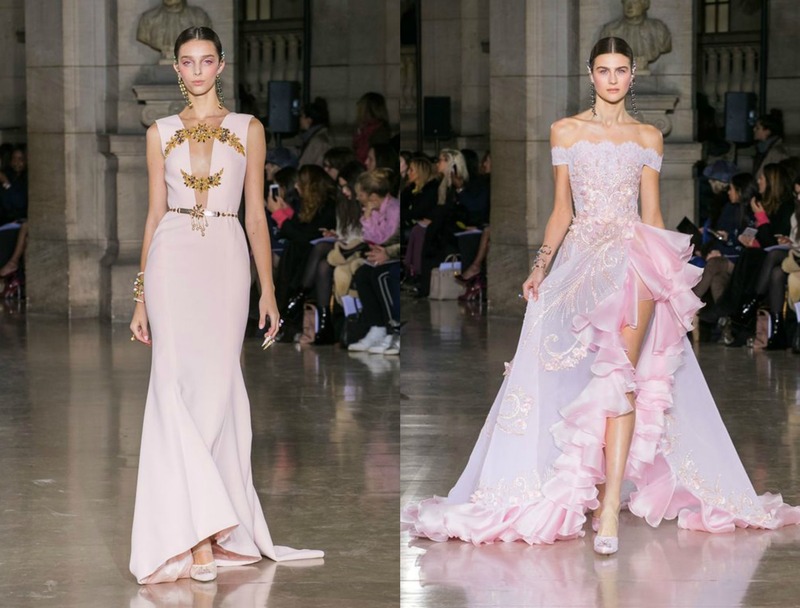 Georges Hobeika’s latest fashion show was a colour-fan’s dream, offering a breath of fresh air for those who are seeking something a little different for their wedding gown. It showcased white dress alternatives in powder pinks, subtle pops of pastel blue, and soothing lilac perfect for the non-traditional bride. Be inspired with Hobeika’s bold wedding collection, which can be considered the new take on the classic white colour scheme. The peaceful shade of pastel pink is the infamous colour trend of the season – the neutral look is as subtle as a flower. Make it a perfect wedding dress by adding vibrant gold accessories. It complements a monochromatic ensemble if you’re keeping the rest of the bridal party classic. This refreshing blue shade with gold undertones creates soft illusion of aqua. Georges Hobeika takes a more windswept spin exposing a pretty symbiosis of Paradise Island with golden hues. Let’s not forget Cinderella’s dress that was surely painted in this angelic blue shade! 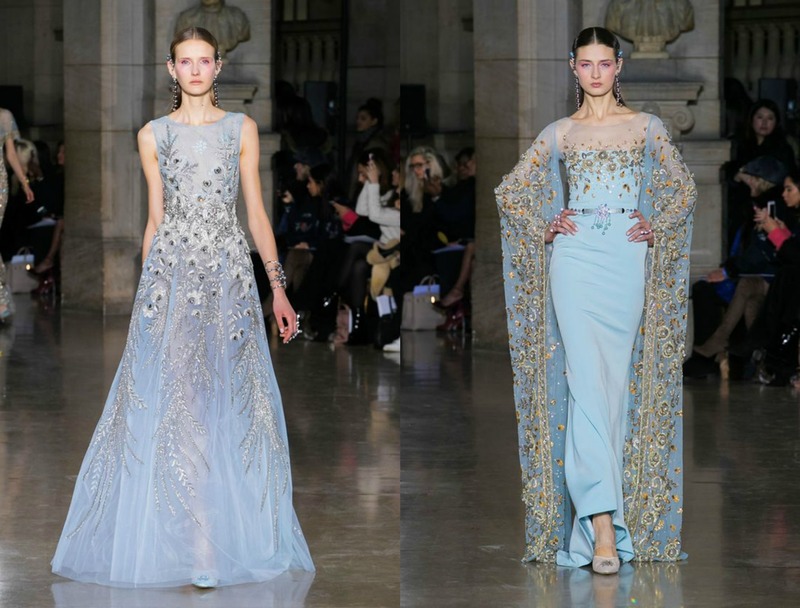 Besides metallic patterns and 3D florals, the rise of eclectic embroidery is used to embellish a sense of culture on a gown. 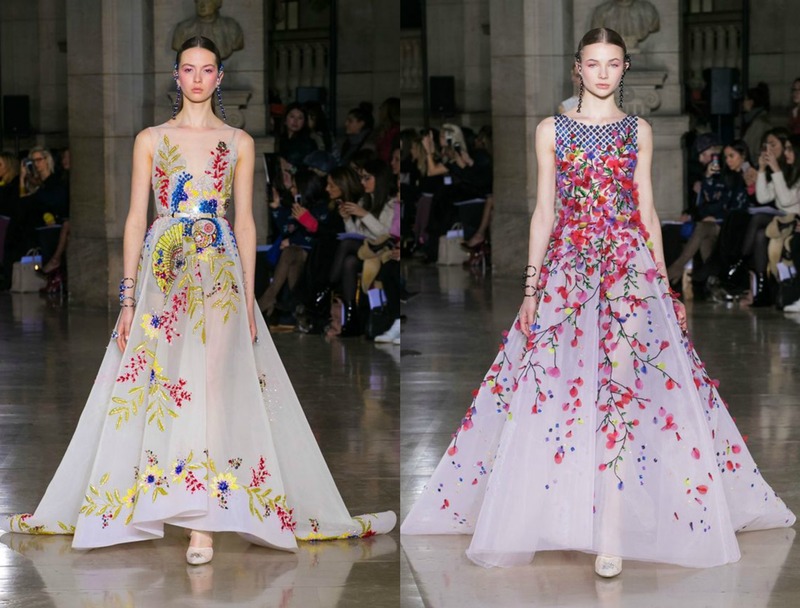 Hobeika’s collection is strong when it comes to printed florals and oriental motifs, and is a perfect match for a bride who seeks a chic Parisian touch. 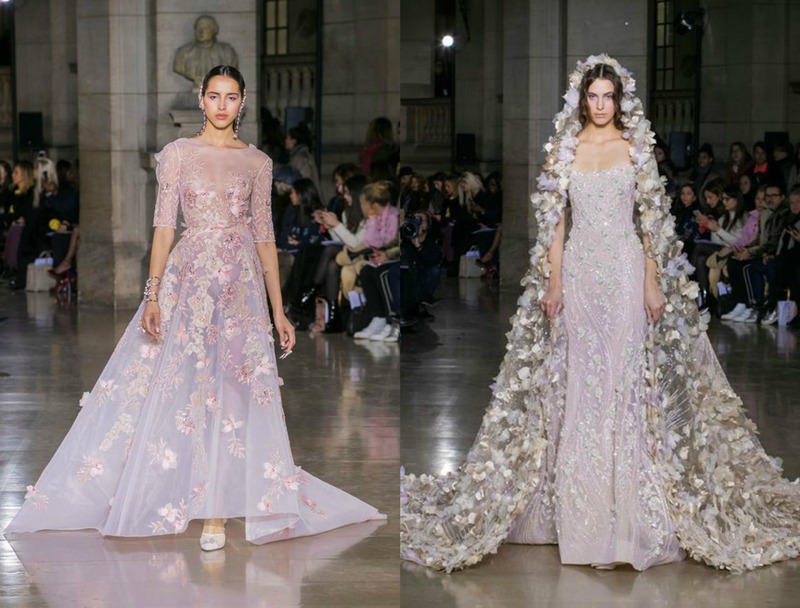 Bright, feminine and uplifting, lilac wedding gowns form one of spring’s popular colour trends, making it a perfect option for the warmer season. When you want to stand out in the crowd with your statement-making outfit, try an accent of lilac and wear it from head to toe!